Jernigan and Jones celebrate the vitality and diversity of poetry inspired by, or in conversation with, myth. Looking back to the early 20th century and forward to the contemporary, Earth and Heaven gathers voices and stories as it moves through “four ages” of mythic history. This collection tells a story of its own about the stories we tell each other. 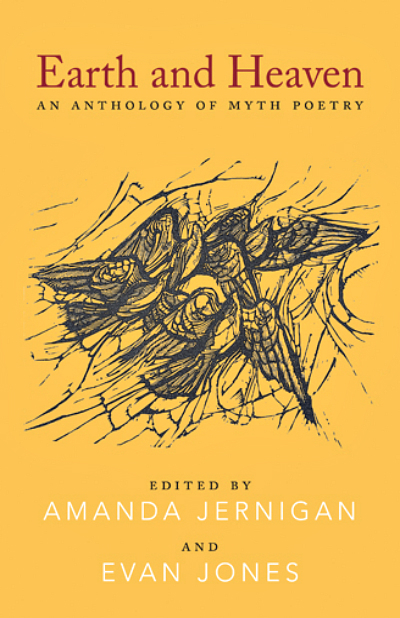 Featuring poems by: Harry Thurston, Daniel David Moses, Douglas LePan, Gwendolyn MacEwen, Margaret Avison, Souvankham Thammavongsa, George Johnston, John Terpstra, Beverley Bie Brahic, Anne Compton, Robert Bringhurst, Darren Bifford, Leonard Cohen, Alfred Bailey, Diana Brebner, Mary Dalton, Steven Heighton, Sue Sinclair, Robert Gibbs, Bruce Taylor, Peter Sanger, Mark Callanan, Elise Partridge, Daryl Hine, Don McKay, Jeffery Donaldson, Marius Kociejowski, Ricardo Sternberg, Michael Crummey, Richard Greene, Carmine Starnino, Wayne Clifford, Brian Bartlett, James Reaney, Norm Sibum, M. Travis Lane, P.K. Page, E.J. Pratt, W.W.E. Ross, Kerry-Lee Powell, Warren Heiti, Anne Wilkinson, Robyn Sarah, A.F. Moritz, Eric Ormsby, John Thompson, James Pollock, Richard Outram, and Jay Macpherson.